Hello, friends! It's time for TEMs blog income report. In this report, I'll be sharing my blog income, expenses, and traffic. I'll also share with you about a few simple things you can do to increase traffic to your blog. 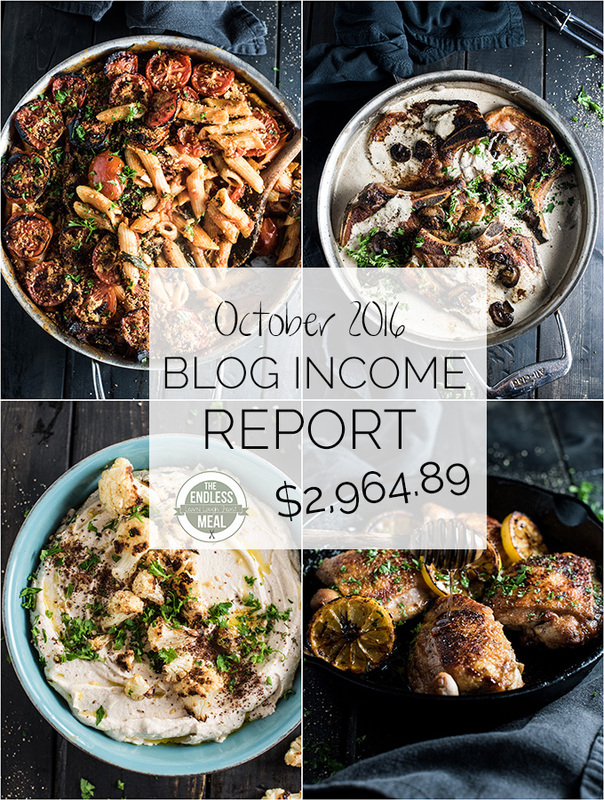 Back in March 2012, I started sharing these food blog income reports with you. That month I made $15.37, and I was so excited about it that you might have thought I'd won the lottery. It did my head in that I could make money doing something I loved. Since then, this little blog has turned into a full-time “job” that I still absolutely love. I'm grateful every day that I get to stay at home and watch my daughter grow, share the food I love, AND earn an income. It is my hope that if you already have a blog that you will be able to learn something from these income reports that will help you grow your blog. I believe that if we are open and honest with each other we will all be more likely to succeed. No cliquey old boys' club here! I also hope that if you've ever been curious about starting a blog, these reports will give you the courage to take the plunge. I love blogging, and would love if you joined me on the adventure! If we sat down to brainstorm, we'd probably come up with a list of a thousand tips for increasing traffic to your blog, but that would be overwhelming. Here are three that I feel are very important. Keep your recipes on brand. Think about why your readers come to your blog. Do they come because they are looking for over the top recipes loaded with delicious carbs, cheese, and bacon? Do they come because they are looking for tasty vegan recipes? Do your readers come to your blog because they are wanting to learn intimidating cooking techniques? When choosing the recipes you are going to share, make sure they are ones your readers will love and expect to see when they visit. If your blog is all about carbs, cheese, and bacon then sharing a recipe for some vegan zucchini noodles isn't going to be a very good fit, even if the recipe is delicious. Give your readers what they want and they'll keep coming back for more. 2. Maximize your high traffic days. 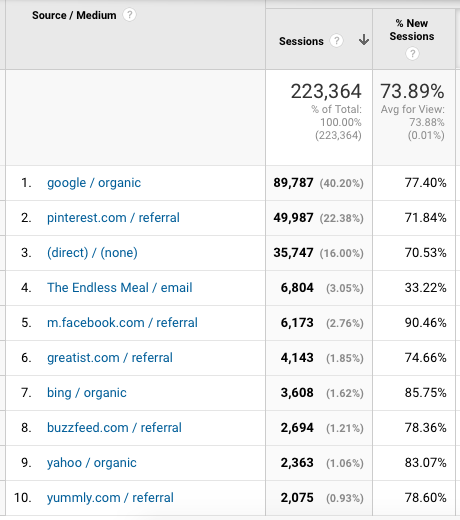 Have a look at Google Analytics and note when your blog gets the most traffic. If you have a look at the Traffic Overview above, you'll see that there are spikes in traffic each Sunday. The pattern of traffic rising on Saturday, peeking on Sunday and slowly tapering off to the week's low on Friday is very predictable. Do you see a pattern with your blog? I like to maximize this Sunday high by making sure I post the most relevant content each Sunday. When I look at my calendar, I choose the recipes that I think will go over the best and post them on Sunday. Giving an extra push on social media on high traffic days can also be effective. I use Tailwind (LOVE them!) to schedule all of my Pinterest pins. In my Tailwind dashboard, I make sure to schedule the most pins on a Sunday. I typically go back and schedule pins from older posts on TEM to give them some extra love. 3. Post on a regular basis. Create a schedule, and stick to it. Your readers want to know what to expect from you, and not just in terms of recipes. If you can commit to posting one recipe a week, do it. If you can commit to two or three, do that. Remember, when you're setting your schedule, be mindful of your ability to create quality posts. Some food bloggers are able to create beautiful posts every single day. While I have so much respect for them, that simply wouldn't work for me. I've learned that three posts per week is the right balance for me, and people who read TEM have come to expect that. Let your readers know what to expect and they'll keep coming back for more. Thank you for being a part of this income report. If you have any questions at all let me know in the comments and I will do my best to answer them. 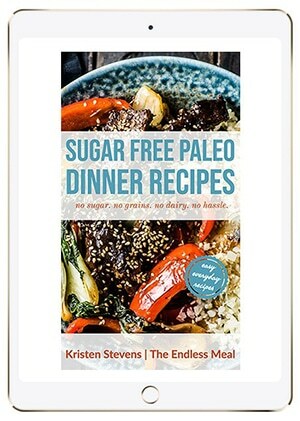 Hi Kristen, I love reading income reports from food bloggers! I somehow forgot that you post them… I need to visit your site more often haha. 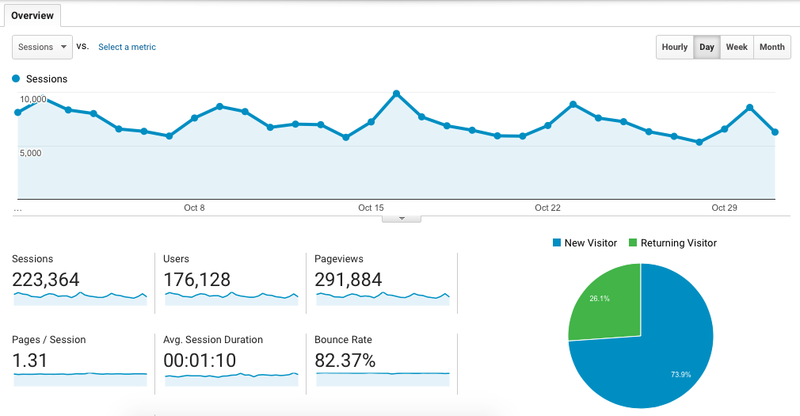 There is something I’m curious about – your organic traffic (especially from Google) is amazing – do you have any advice on that? I read tons of stuff on keyword planning, SEO optimization and so on… and try to do all the right things… but I was wondering if you have any insights that could be new (to me anyway!). Thanks! For each of my posts I always consult Google’s Keyword Planner. It doesn’t work as well now that Google has made some changes, but it still helps for choosing a name. I try to pick a name that is somewhere in the middle, as far as how many searches it gets. I’ll also Google the term to see what the competition is before finalizing. Then I make sure I use that keyword everywhere I can – on the image files I upload, the alt tags, in the first sentence of the post, in the recipe title and description, as well as many times as I can work it in naturally in the post. I use the Yoast SEO plugin and always check to make sure the post gets a green light from them. I think how people interact with the post is something that Google takes into account, too. How many times it’s linked to and how likely people are to click on the link. In some ways, I think it’s a bit of a crapshoot. Some of my posts that I’m sure will do great (low competition/good SEO) totally bomb on Google. Others that are older posts and initially had terrible SEO (I’ve updated all the SEO on my older posts) continue to do very well. Thanks, Kristen! Yeah, I sometimes feel like it’s a crapshoot as well, and I guess they say SEO isn’t something that happens instantly. I use the Yoast plugin. I think I need to utilize the keyword planner more than I currently do. Thanks for the tips!